A Direct-Entry Midwife (DEM), sometimes called a traditional midwife, trains for their role as midwife through apprenticeship, self-study, formal classes, or a combination of all of those. They are not required to have a background in nursing or a college degree. 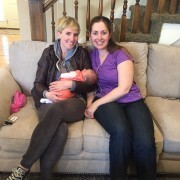 Some Utah midwives prefer to practice without licensure or certification for various reasons unique to each midwife. These reasons might include the desire to avoid restrictions on the types of clients they can work with (i.e. mothers birthing twins or breech babies). Here’s an important note: Many of these midwives may not have websites and may get most of their business from word of mouth referrals. 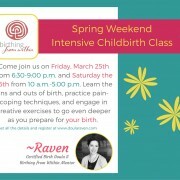 If you think you would like to birth at home with a traditional midwife, this list might not be much help. Consider asking around in groups of homebirthing mothers for great recommendations. A Licensed Direct-Entry Midwife (LDEM) can be trained in various ways, including apprenticeship, self-study, and formal classes. They are not required to have a background in nursing or a college degree. LDEMs are trained in out-of-hospital births. The licensure, which is granted on a state by state basis, allows LDEMs to carry and use medications like pitocin and antibiotics for Group B Strep. In Utah, to obtain your LDEM licensure, you must first be a CPM and complete pharmacology training. Certified Professional Midwives (CPM) are midwives who have chosen to meet certain educational requirements that can include formal midwifery classes, passing certifying written exams and assessments of hands-on skills administered by the North American Registry of Midwives. Trained in out-of-hospital births, licensed CPMs (who will list themselves as CPM, LDEM) can do things like administer pitocin in case of hemorrhage, antibiotics if a mother is a Group B Strep carrier, and IVs. However, there are also CPMs who choose not to be licensed. Certified Nurse-Midwives (CNM) have a more academic background, having first obtained a nursing degree and then, usually after experience as a labor and delivery nurse, gone on to pursue an advanced degree in midwifery. 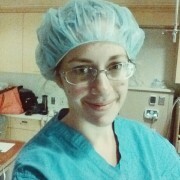 CNMs can practice in various settings with some choosing to work in hospitals and others choosing to work with mothers in a birthing center or at home. As advanced nurses, CNMs can prescribe certain medications, like antibiotics and birth control. In Utah, the vast majority of CNMs practice in hospitals, with only a handful choosing to practice outside of hospitals. Now that you understand the types of midwives, head over to my list of Salt Lake City midwives to start your search for a midwife. 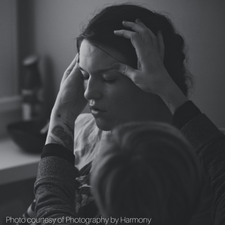 For more details, DyAnna Gordon, a midwife in Southern Utah, has made a video explaining the different types of homebirth midwives in Utah and has graciously allowed me to link to it: Types of Utah Homebirth Midwives.